R/Auto - An Automatic Watch Series inspired by Carbon Fiber. Automatic Watch. Dual Sapphire Crystals. Self/Manual Winding. Powered by Movement. 100% Unique, 100% Affordable, Next level Sleek. Keep a look out for our re-launch, Thank you everyone for their support for this campaign - refer to update for more information. Exposure is still one of the most important factors for any successful campaign, please share it to help us make this project come to life! You can share it from the links on top of the page! Thank you for checking out our page! We have been working on Carbon for over 12 months now and have set our delivery date by taking into account for slight hiccups and other logistical delays. If in the off chance that there are any product revisions, delays and other setbacks we will make sure that everyone will be informed. For any other concerns, feel free to reach us directly customercare@rival-collective.com *All designs mentioned in the campaign are subject to Copyright © 2016. All rights reserved. There may be minor changes in design since the start of the campaign - but we do try our best to keep everyone in the loop! Your $1 will help motivate us with creating new products and lifestyle accessories not only for the Sleek, but for your everyday. Your $10 will help keep us motivated to put our ideas and continue to bringing more carbon fiber inspired products to you all! Thank you! Early Bird Special: One 'CLAS QUATTRO BLACK/RED' automatic watch. Save $80 of RRP. Capped Shipping worldwide. Early Bird Special: One 'CLAS ARTCIC WHITE/BLUE' automatic watch. Save $80 of RRP. Capped Shipping worldwide. Kickstarter Special: One 'CLAS' automatic watch COLOUR of your CHOICE - Selected at end of campaign. Save $50 of RRP. Capped Shipping worldwide. Early Bird Special: One 'SKEL QUATTRO BLACK/RED' automatic watch. Save $80 of RRP. Capped Shipping worldwide. Kickstarter Special: One 'SKEL' automatic watch COLOUR of your CHOICE - Selected at end of campaign. Save $50 of RRP. Capped Shipping worldwide. Kickstarter Special: Two 'CLAS' automatic watch COLOUR(S) of your CHOICE - Selected at end of campaign. Save $120 of RRP. Capped Shipping worldwide. 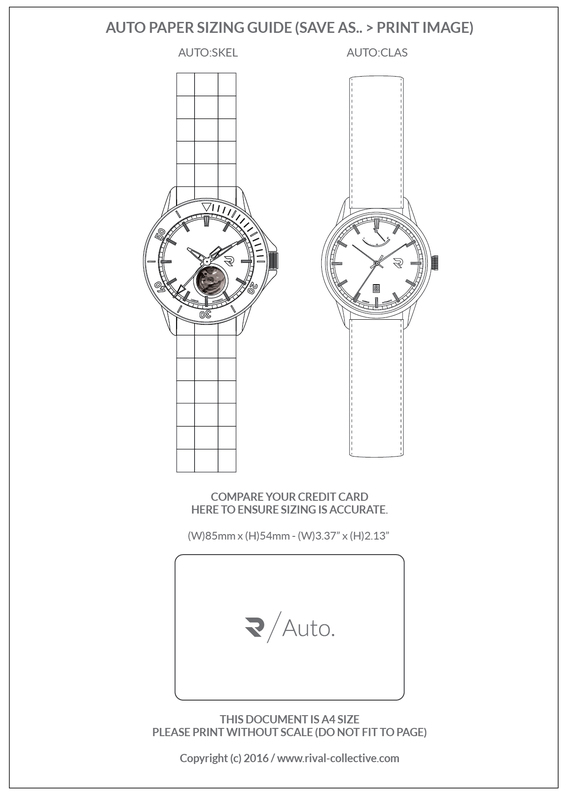 Kickstarter Special: One 'CLAS' & One 'SKEL' automatic watch COLOUR(S) of your CHOICE - Selected at end of campaign. Save $120 of RRP. Capped Shipping worldwide. Kickstarter Special: Two 'SKEL' automatic watch COLOUR(S) of your CHOICE - Selected at end of campaign. Save $120 of RRP. Capped Shipping worldwide. Kickstarter Special: Two 'SKEL' automatic watch COLOUR(S) of your CHOICE & Two 'CLAS' automatic watch COLOUR(S) of your CHOICE - Selected at end of campaign. Save $250 of RRP. Capped Shipping worldwide.